Facebook lets you create customized tabs for your Facebook fan page by using FBML and iframes. These customized tabs act primarily as an engagement-enhancer for your Facebook page and create more possibilities for attracting others to your page, then ultimately, to your blog or website. However, there is a problem. Creating these tabs for a novice is a painful thing if you do not know about xFBML. There is too much jargon involved in the process for creating customized tabs. * However, Involver helps you to remove all these limitations. Involver is a social media Start-Up that has provided applications and monitoring tools to over 180,000 brands to date. The best thing is that it also provides some excellent applications for Facebook users free of cost. Over the past two years, Involver has shifted its paradigm from a Online-Video gatewey to* Social Media marketer. What are the situations in which involver may help you? You can add Twitter streams, RSS Feeds, Youtube Channels, Scribd documents and much more to a Facebook Page with no coding. Situation#1. You want to create dedicated tab for your Facebook page that will show all the posts of your blog in reverse-chronological order by using your blog’s RSS feed. Situation#2.You want to create a new tab in your Facebook page that will show videos from your Youtube Channel in a very interactive way. Situation#3. A tab showing your Flickr Photo stream in Facebook page in an elegant format. Situation#4. A dedicated tab displaying the entire twitter phenomenon from your twitter account to your Facebook fan page. Situation#5. Finally, Static HTML application allows rendering of HTML in a Facebook iframe. You can use it as a fan gateway to get Facebook Likes. To use a bit of jargon here, you can use WYSIWYG (what you-see-is-what-you-get) to make HTML without actually knowing HTML. Then you can put it to Static HTML App of Involver that will convert it to a Facebook iframe. You may use this as a welcome tab for your Facebook page. These are some of the well-known apps to make your Facebook page more interactive for free. There are also plenty of other options available for Professional users and Enterprises. 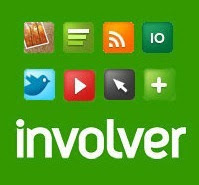 Go to Involver applications page and choose which application you want to use with your Facebook page. Free users are allowed to use only two applications for a Facebook page. So, if you don’t want to spend a penny and still want to engage your audience and drive Likes, choose only two of these apps. After selecting apps, click on install. It will lead you to your Facebook account. Choose page from the drop down list and add the application to your page. After that, fill your credentials (RSS feed address, YouTube channel, Flickr and twitter account information etc.) based on what kinds of app have been selected and you are ready to go. It will take a few minutes and these tabs will be in action. Rizwan Noor is an internet lover by default and the founder of TechnoMistry, a technology blog aimed at helping readers with digital tips and tricks to enhance their productivity with the PC and internet.